Some patients may require nitrous oxide to remove pain or anxiety during dental treatments. If you desire any form of dental treatment at our North Vancouver, BC office, Dr. Kim may administer nitrous oxide for its anesthetic/analgesic properties. Commonly known as laughing gas, nitrous oxide is a gaseous sedative that’s inhaled through a mask over the nose. It was first used in the mid 1800s when practitioners didn’t know they should mix oxygen with the nitrous oxide, which wasn’t healthy alone. These days, nitrous oxide is administered with at least a 30% oxygen mix, which makes it safe for any dental care. The percentage of nitrous oxide can be easily adjusted if necessary. Let Dr. Kim know right away if you feel uncomfortable or sick. The effects wear off quickly after you begin to breathe regular air following your treatment. If you still have concerns about nitrous oxide, feel free to call our office about it. Our staff can go over other options for sedation and select the best one for you. 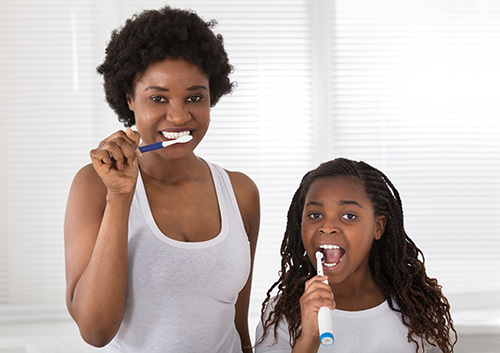 Oral hygiene has always been an important part of maintaining overall health. 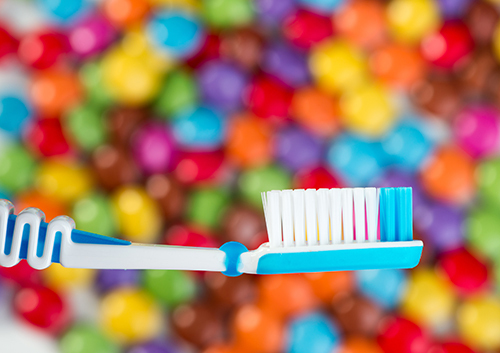 For thousands of years, humans have found ways to keep their teeth and mouths clean. According to the Canadian Dental Association, “early forms of the toothbrush have existed for nearly 5,000 years.” But what exactly did the first toothbrush look like? The CDA recommends that you choose a toothbrush that fits comfortably and allows you to effectively reach all areas of your mouth. Whether you decide to use a manual or a powered toothbrush, make sure that you thoroughly clean all surfaces of your teeth twice a day. There are numerous options for dental treatments out there, so how do you choose which are right for you? Our experts at IQ Dental have handpicked the three must-have procedures that we believe can benefit nearly every patient. Periodontal Exam: This should happen at least once a year and is quick and painless. Dr. Kim or your hygienist will carefully probe around each tooth and take measurements that indicate the health of the bone and its supporting tissue. This appointment is worthwhile because of the known fact that gum disease can increase the risk of potentially fatal conditions such as heart disease and stroke. Silent killers like diabetes can show signs in the mouth before the person becomes aware of other symptoms. Did you know adults lose more teeth to periodontal disease than to cavities? A simple screening once a year could save your smile and boost your overall health! In-office Whitening: Most people develop tooth stains. in-office whitening at our North Vancouver, BC office is the perfect way to correct discoloration. It’s safe and produces dramatic results in a short amount of time. In two hours, you could take years off your age. Who wouldn’t want that? It’s understandable that kids would rather be playing outside or watching their favorite movie instead of doing a “boring” task like brushing their teeth. But there are ways to make brushing fun for your son or daughter, and encourage healthy oral hygiene habits early on! Dr. Kim and our team have a few tricks that may help. Call Dr. Kim at our North Vancouver, BC office for more fun tips or to make an appointment today!